The weather in Vancouver is finally heating up. It’s time to prepare for pool season! Here are a couple of tips to help you pick out the right pool tile to suit both your needs and style. What type of tile should I use? The most common tiles used in pools are porcelain and glass. Whichever pool tile you choose ensure that it is slip resistant if being installed on the floor or surround. Larger tiles should have a special finish or texture while mosaics will have enough grout between the tiles for the extra grip needed. 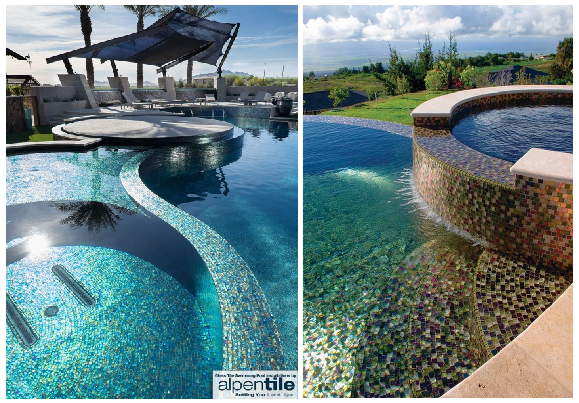 If you are installing a pool with curves you will need to get smaller mosaics as they can fit snug. Mosaics are available in both glass and porcelain. There is no right or wrong colour for pool tile, it is purely a personal preference. Blue is a popular choice for pools because it makes the water look bluer, but even dark colours make a pool look stunning. Keep in mind that the colour of the tile will vary depending on how much shade or sunlight your pool gets. Ensure you like the colour when it is exposed to sunlight as well as in the shade. Lastly, choose a good quality tile that is resistant to fading to ensure the colour you choose will last. Not all tile can handle the high amount of UVA rays and moisture that pool tiles are exposed to. There are many ways to add unique features to your pool. Consider installing a custom mosaic. This will add extra elegance and will turn your pool into a work of art. For a smaller budget consider a more elaborate tile in a contrasting colour, in glass or ceramic, for the scum line of the pool. Ensure that you ask your tile supplier about maintenance of the pool tile. Proper maintenance is crucial to keep your pool looking at its best. Installing a pool this summer in Vancouver? 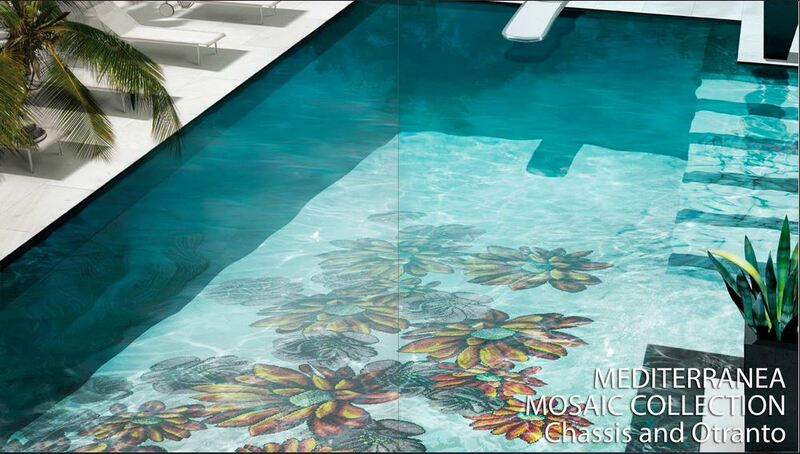 Contact the experts at World Mosaic Tile in Vancouver to find the perfect pool tile to meet your budget and needs.